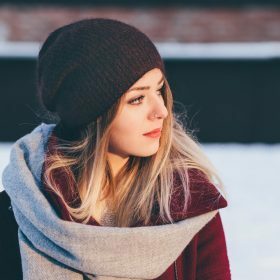 It doesn't matter if you live up north and have to battle the cold or you are a little further south and you want to wrap up for the colder moments, a scarf is the perfect addition to your wardrobe. From beautiful patterned silk scarves to warming and cozy wool ones, there is the perfect scarf for you on Fashiola. Browse the entire category to get inspired or use the filters to find exactly what you are looking for.